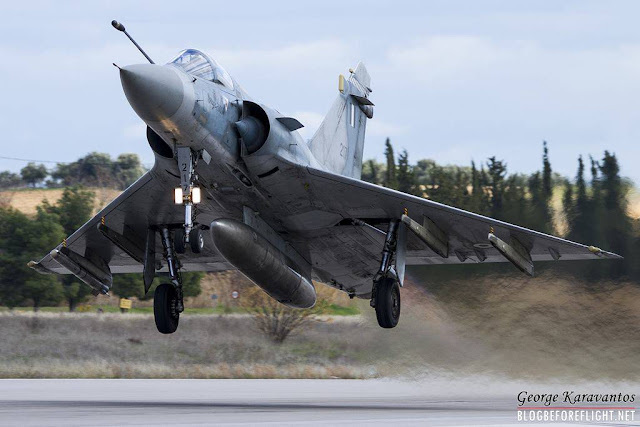 Fighter jets from Greece and Italy to secure Montenegro skies under NATO air policing mission. NATO starts Montenegro air patrols. NATO Allies Italy and Greece will begin NATO air patrols over Montenegro on 5 June 2018. Montenegro joined NATO in June last year. As the country does not have its own fighter planes, it has asked Allies to help secure its airspace. NATO air policing missions protect the skies of those Allies that do not have their own air force. There are currently several of these air policing missions across Europe. Montenegro contributes to the Alliance’s shared security by providing troops to NATO’s training mission in Afghanistan and financial support to the Afghan security forces. In a sign of Allied solidarity, Italy and Greece will now help protect Montenegrin airspace. Italian and Greek fighter aircraft will continue to be based in their home countries, taking to the skies as necessary. NATO air policing is a long-running, routine mission to safeguard the integrity of the Alliance’s airspace, a core task for NATO’s collective defence. Air policing is not a response to any specific threat, but an essential component of how NATO provides security for its members. Under NATO regulations, Allied air forces must have at least two fighter aircraft on 24/7 readiness, and at any given moment dozens of fighter aircraft are at high readiness all across Europe. Alternatively, Allies with no air force can seek multinational solutions to guard their airspace. Spain, Portugal and France are currently part of the Baltic Air Policing over Lithuania, Latvia and Estonia. Italy also routinely helps to protect Slovenian airspace, while the UK Royal Air Force supports air patrols over Romania. NATO air policing jets take to the skies in response to military or civilian aircraft in distress, or that do not follow international flight regulations and approach the airspace of NATO Allies. Often, these aircraft fail to properly identify themselves, communicate with air traffic control or file flight plans.